Following on from our most popular posts ‘Top 10 Secret Belgian Binding Tutorials‘ and our infamous ‘Top 15 Japanese Stab Binding Tutorials on the Internet‘ I decided to put together a collection of the best long-stitch bookbinding tutorials on the internet. Please also don’t forget to leave a comment at the bottom of this page before moving on. The long-stitch bookbinding method is one of the most simple bookbinding techniques known to man (and woman), it requires no glue, can look as equally rustic as it can professional and offers fantastic binding strength. The technique involves sewing the signatures direct to the cover. There are two types of long-stitch bookbinding methods, one involves cutting or slicing the cover and sewing the signatures through these slices, and the other involves punching holes in the cover and sewing through the holes. Very similar, but a little different. The ‘sliced’ long-stitch bookbinding sewing method has been used since the 18th century but the other method, the punched hole method, has been around since the medieval era and was thought to of originated from Germany. You will often see the long-stitch binding method used in conjunction with the chain stitch often on the first and last rows of the punched holes. Extended book covers are often used with the long-stitch technique so they can be wrapped around the front of the book and fastened to ‘shut’ the book. Follow our pinterest channel by clicking the button above to see more photos and examples of long-stitch bookbinding. Perhaps one of the best tutorials out there for making a long-stitch leather journal can be found at Tutsplus.com. It has many clear photos and covers the basics steps of making a long-stitch book. I’d advise reading through this tutorial before moving on. More advanced techniques can be found in the tutorials below. A two-part tutorial on how to make a long-stitch book using recycled covers using the long-stitch slit technique. The tutorial also covers how to wrap the long-stitch around the outside edges of the cover, a common style you’ll see in many long-stitch bound books. Big thanks to Anya for taking the time to put this tutorial together, the photos are excellent! Another great tutorial on how to make a leather journal using the slit technique by Lynn Taylor. Minimal materials needed, clear photos and some excellent advice in the descriptions of each step. A great starting point for beginners. Perhaps one of the best tutorials out there for making a long-stitch journal or book. It covers a number of advanced long-stitch techniques and talks you through making what I consider the most well made long-stitch book out there. This is part 2 of a 3 part series on how to make a long-stitch book, the first part focuses on how to make “deckled” edges for your signatures. A wonderful PDF tutorial put together by San Francisco Center for the Book. If you’re looking for a tutorial you can print out and take into your workshop then this is it. Covers a bit of background on the long-stitch and linkstitich binding along with numerous variations on stitching patterns and covering designs. A very text-heavy tutorial on how to make a Long-Stitch book. Full of useful information, tips & techniques and diagrams to help you bind your first book. Whilst it has some limited diagrams, the descriptions are very comprehenisve and thus might only be suitable for somebody with prior experience of long-stitch binding. A great source of information none the less. This long-stitch binding tutorial by Emma Jane Hogbin covers the tools and materials you’ll need to get started on making your first long-stitch bound book. Comprehensive process description but lacking good photographs. A good for an introduction or quick printout. A 14-step guide for beginners on how to make a long-stitch bound book. An old website but still hosts some useful information. A fantastic and very comprehensive guide to making a long bound book by Douglas W. Jones, broken down into 12 sections it takes you right the way through from preparing the signatures to making a dust-jacket for your completed book. A photo heavy tutorial on how to make a beautiful leather bound journal from recycled paper and leather. A fantastic little tutorial with some great diagrams on how to make a long-stitch bound book. 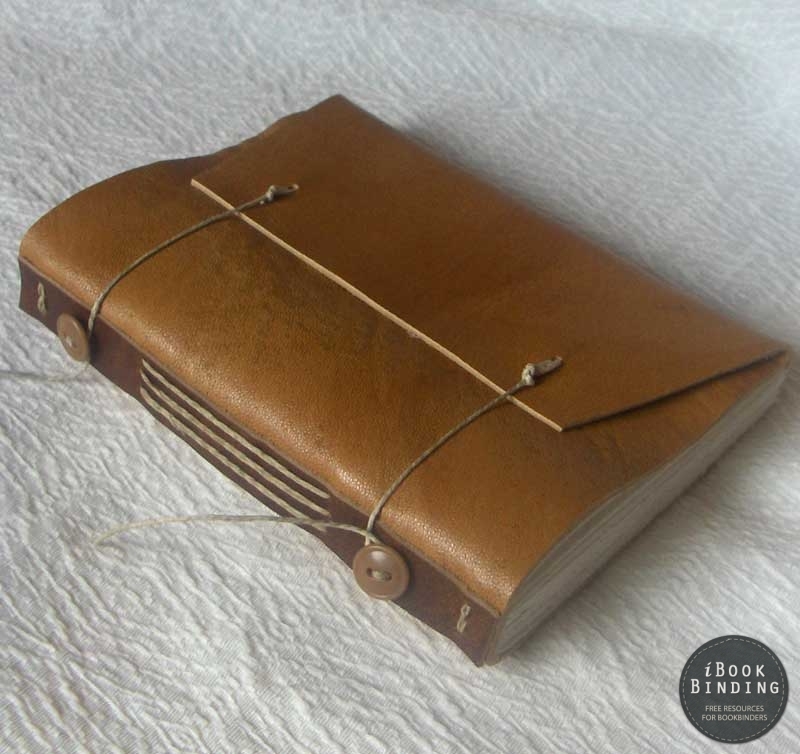 A great website with lots of useful bookbinding information. Taking your long-stitch binding methods to the next stage. In this tutorial you will learn how to progress onto attaching a book cover separately to the text block. Great photographs and descriptions to go along with them. Highly recommended for those looking to progress their bookbinding skills.